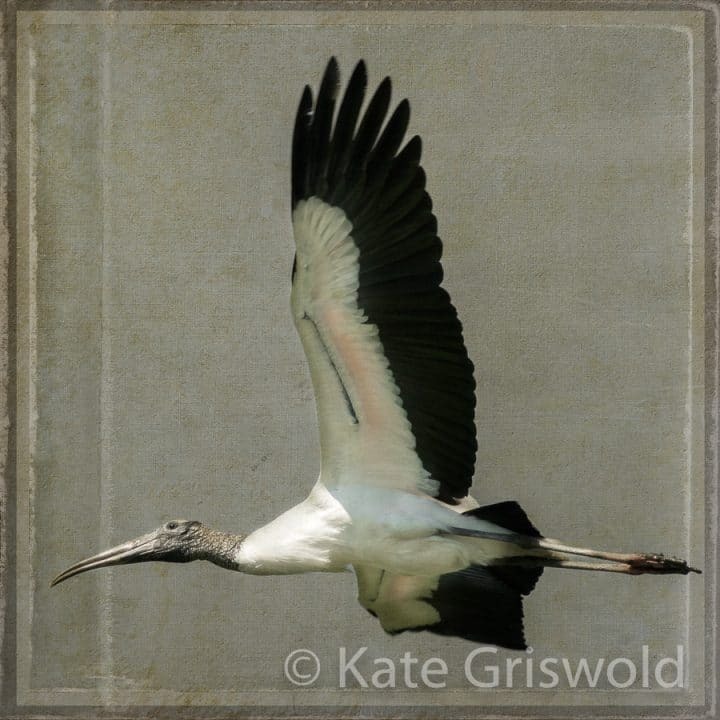 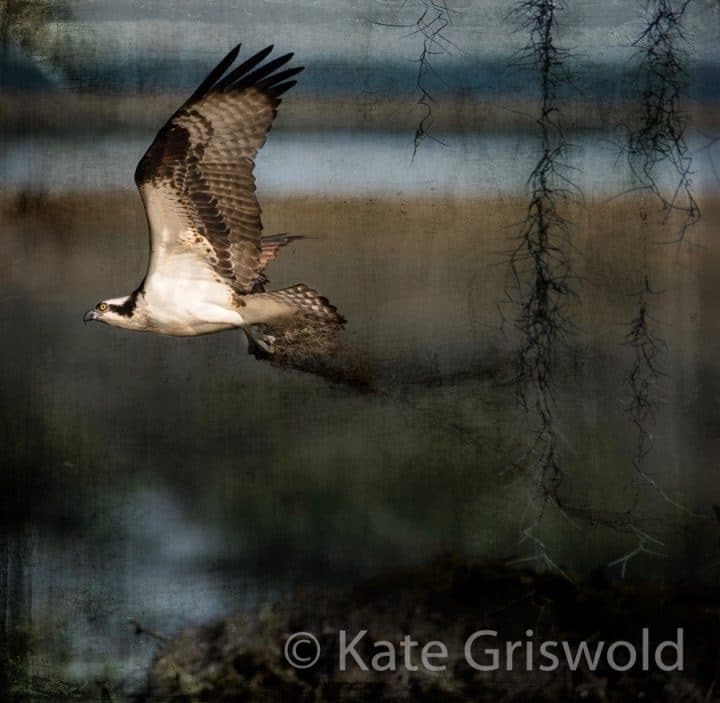 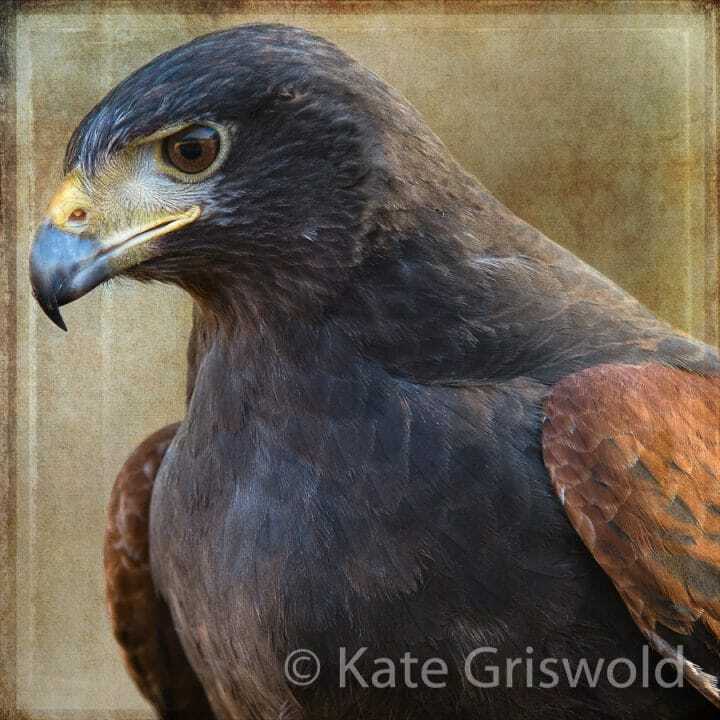 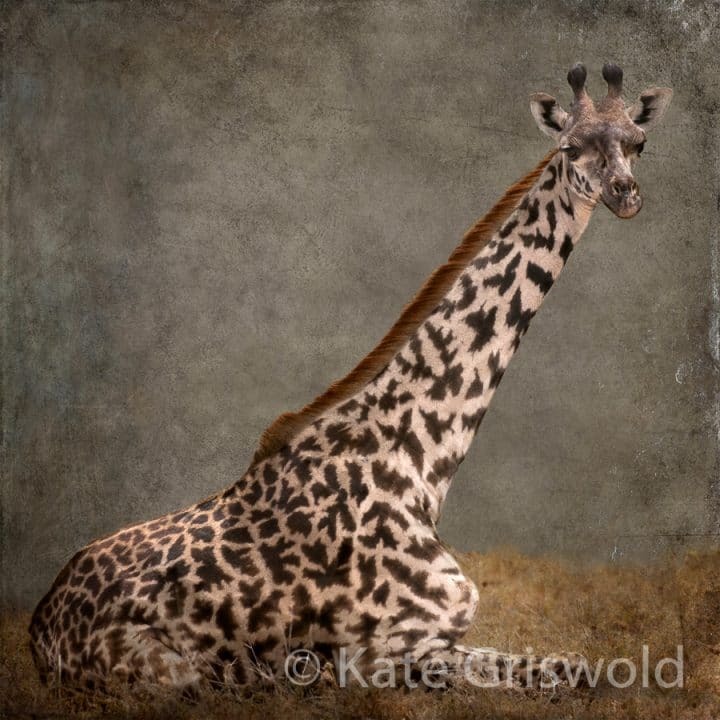 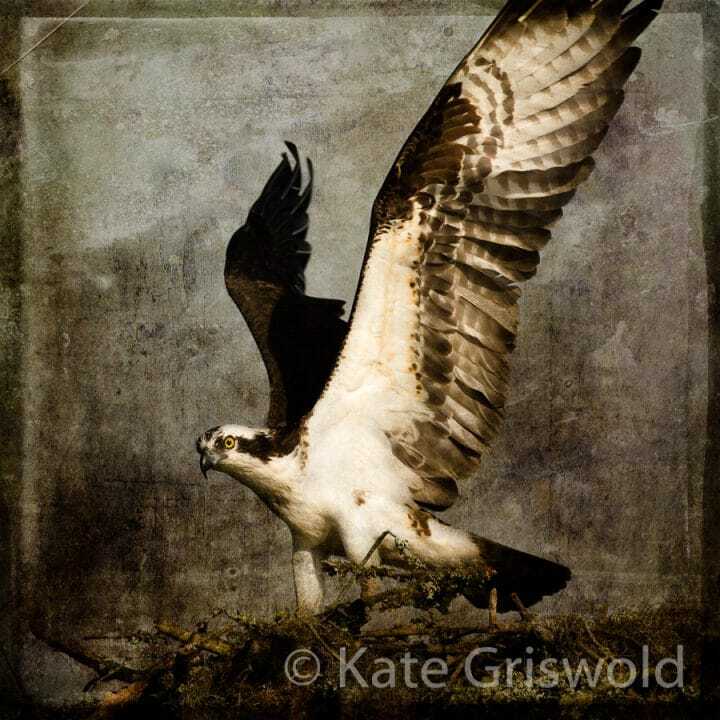 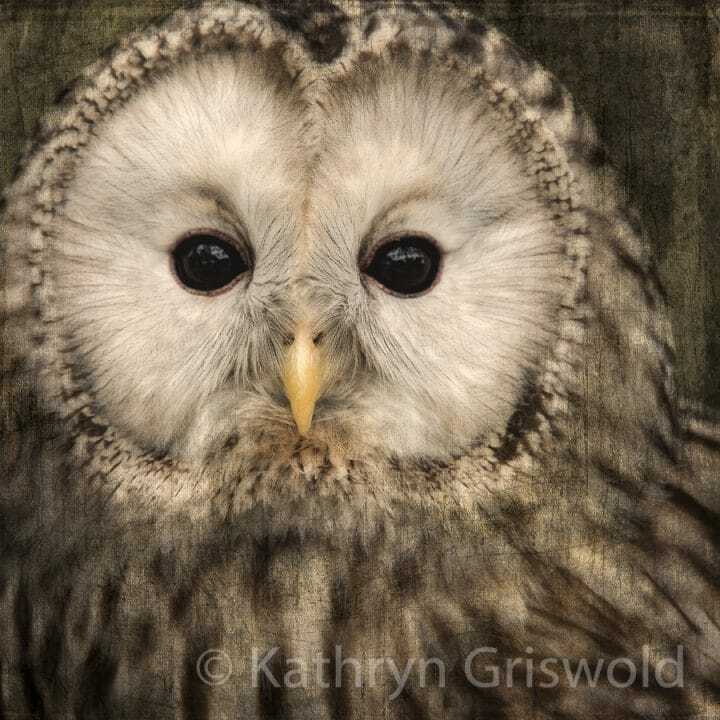 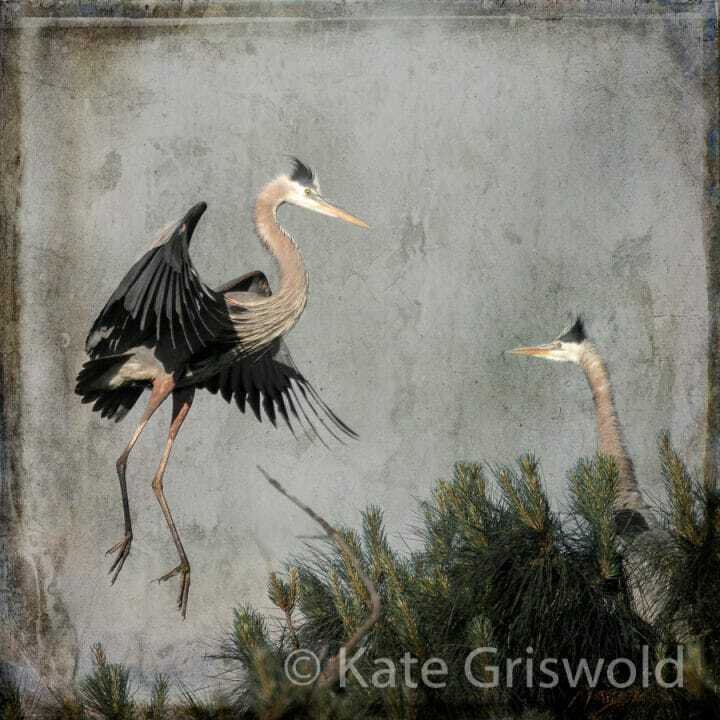 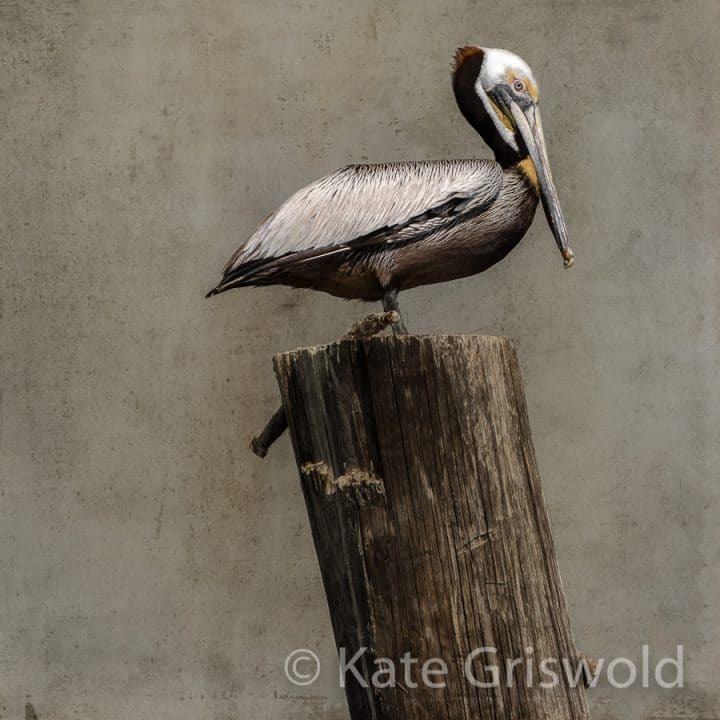 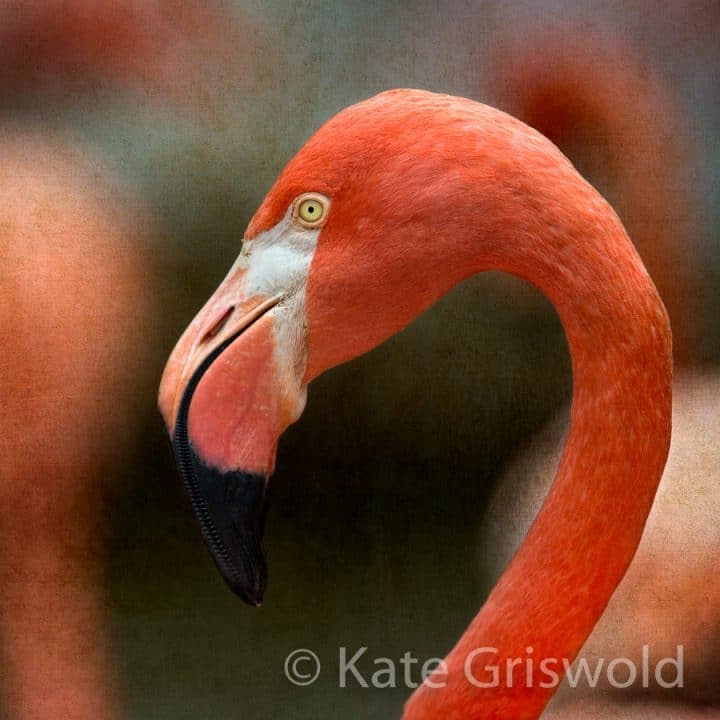 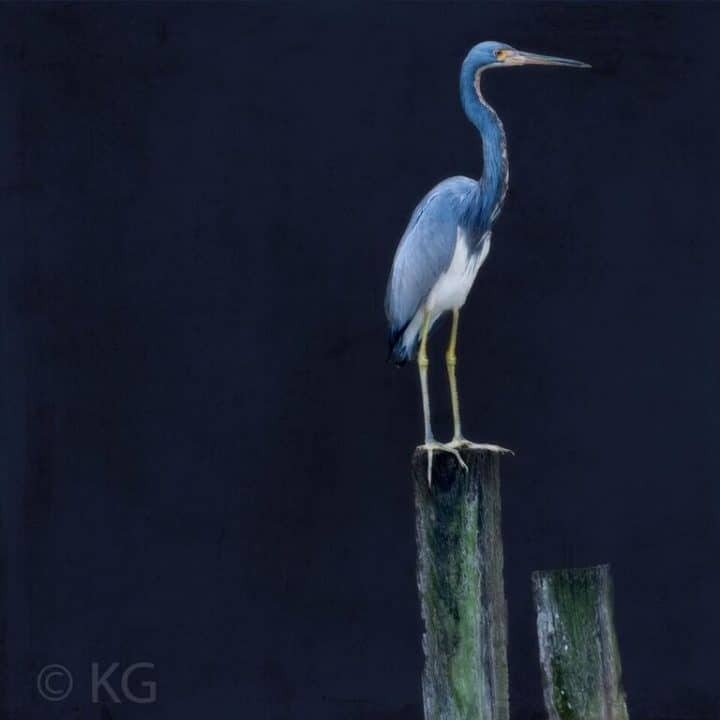 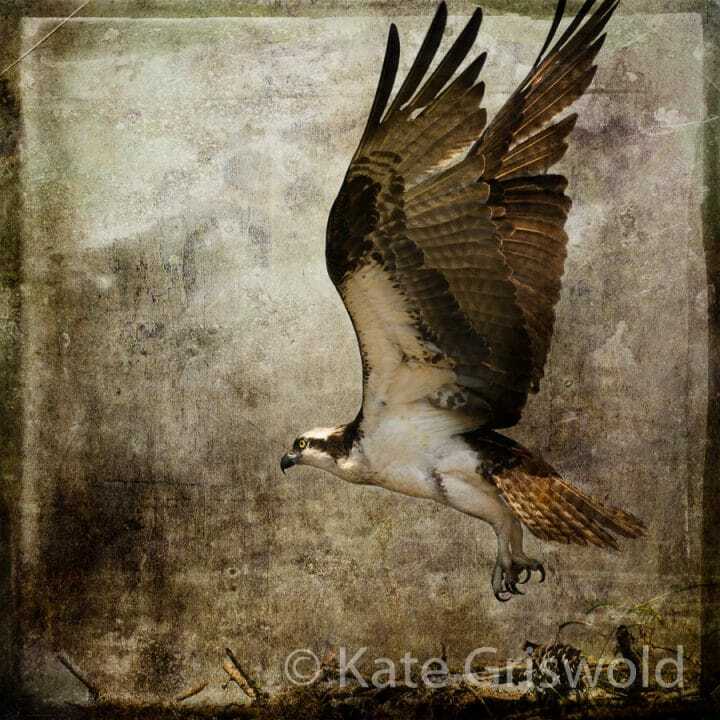 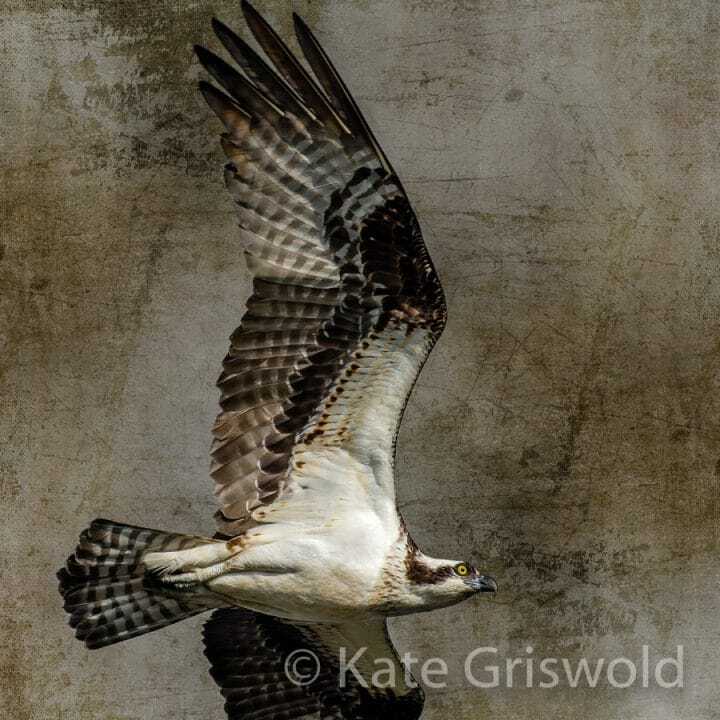 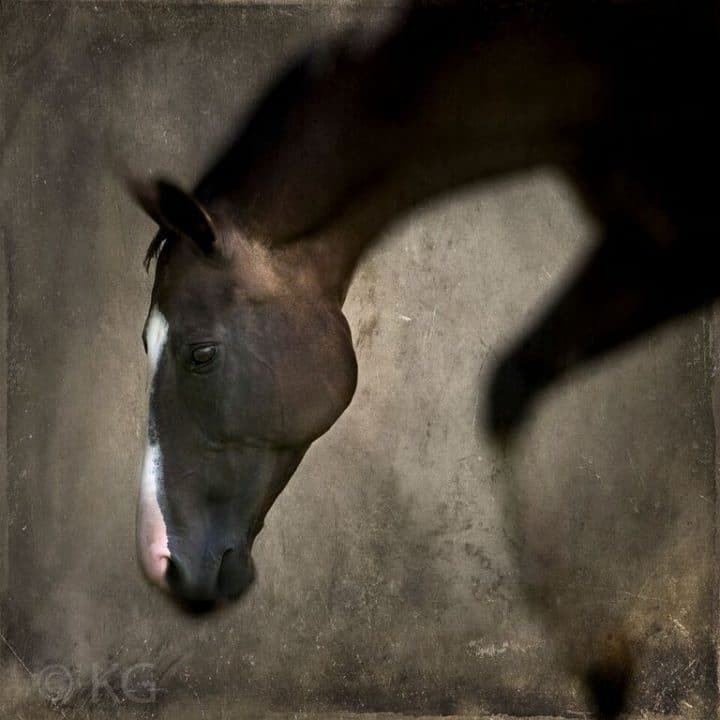 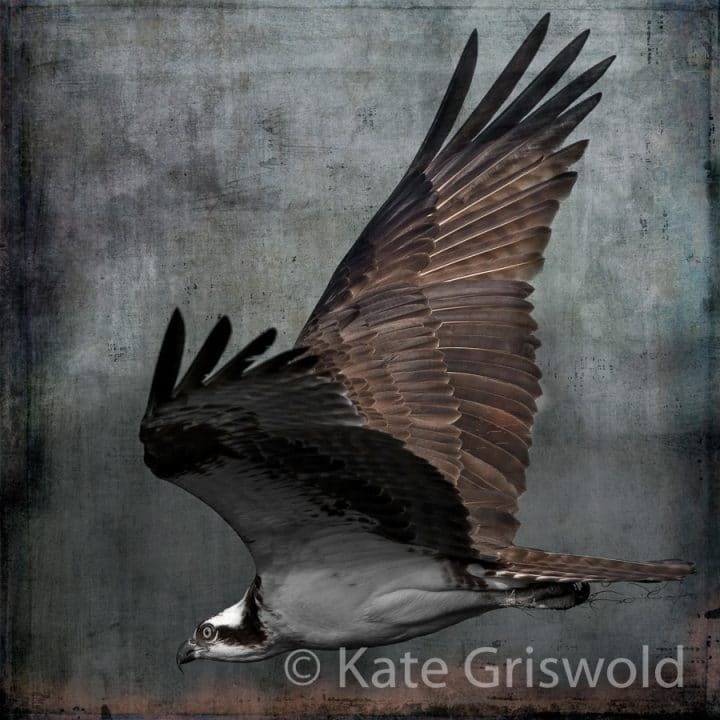 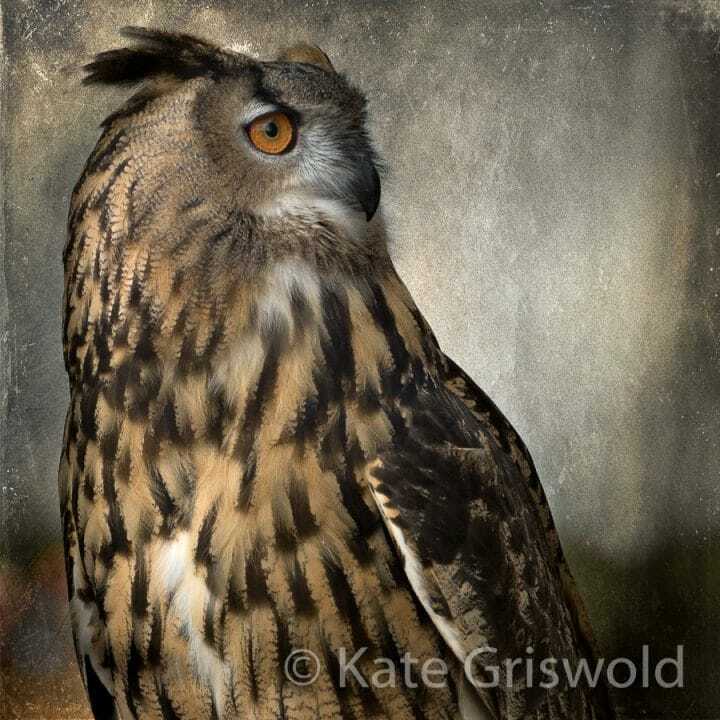 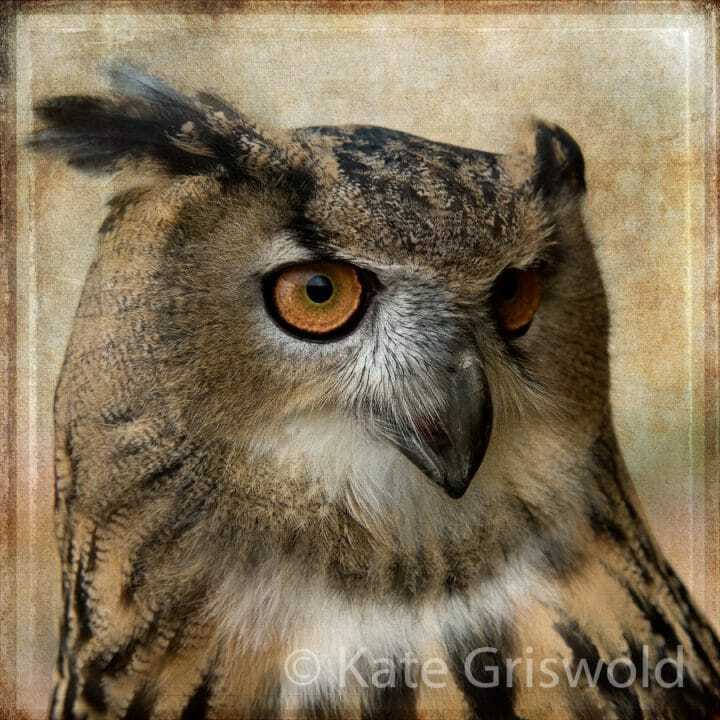 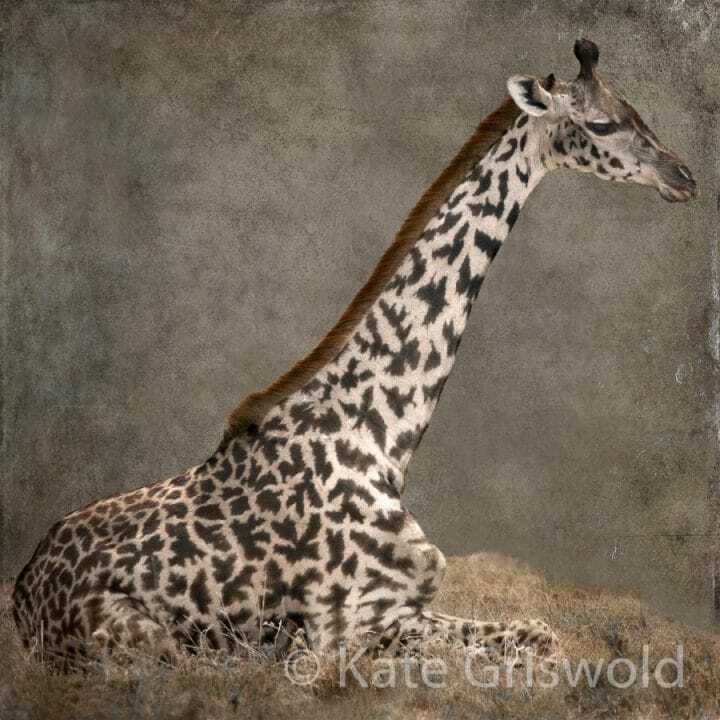 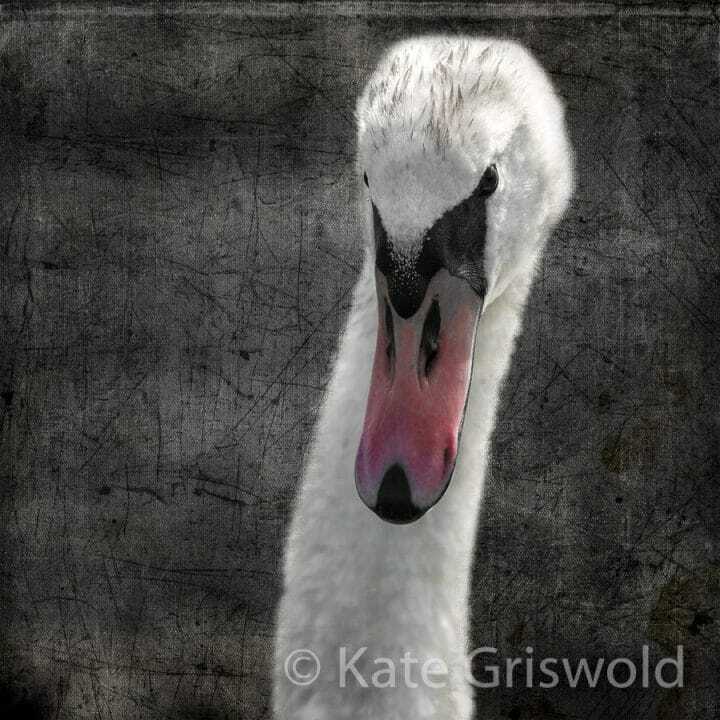 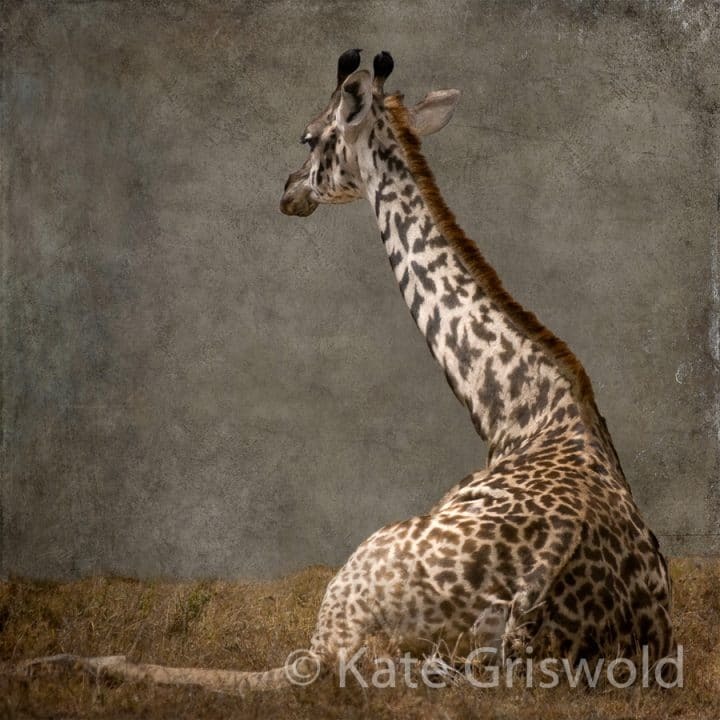 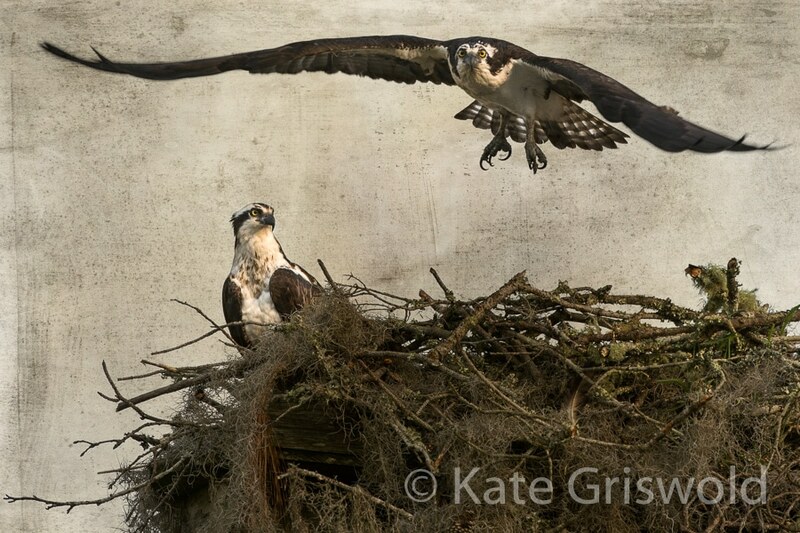 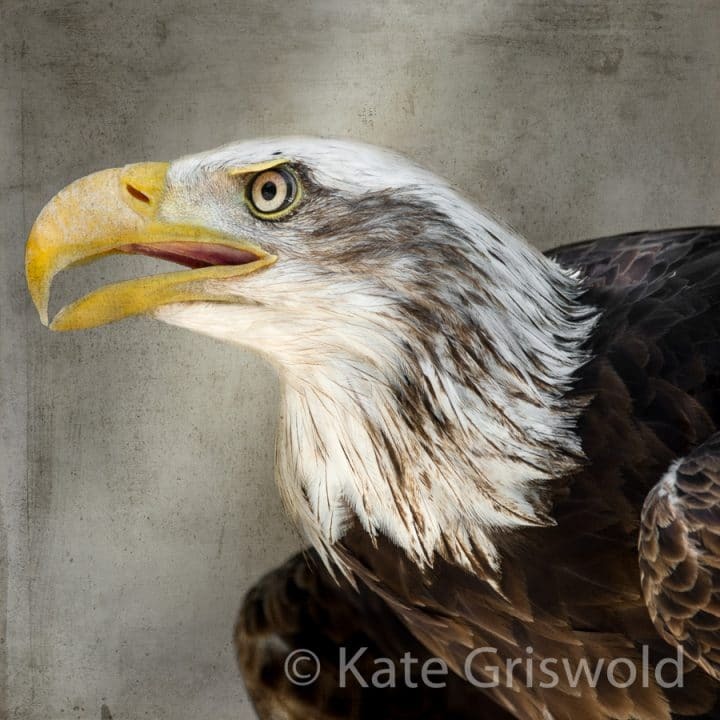 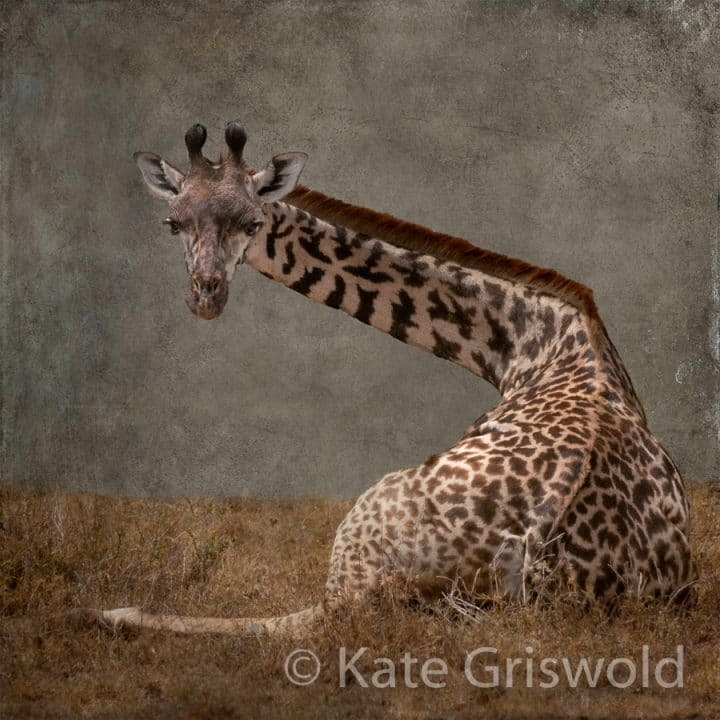 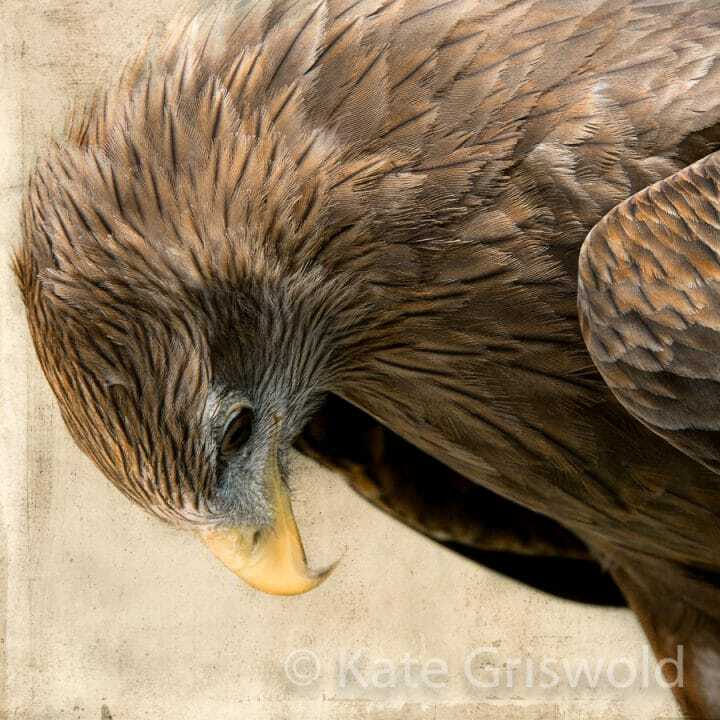 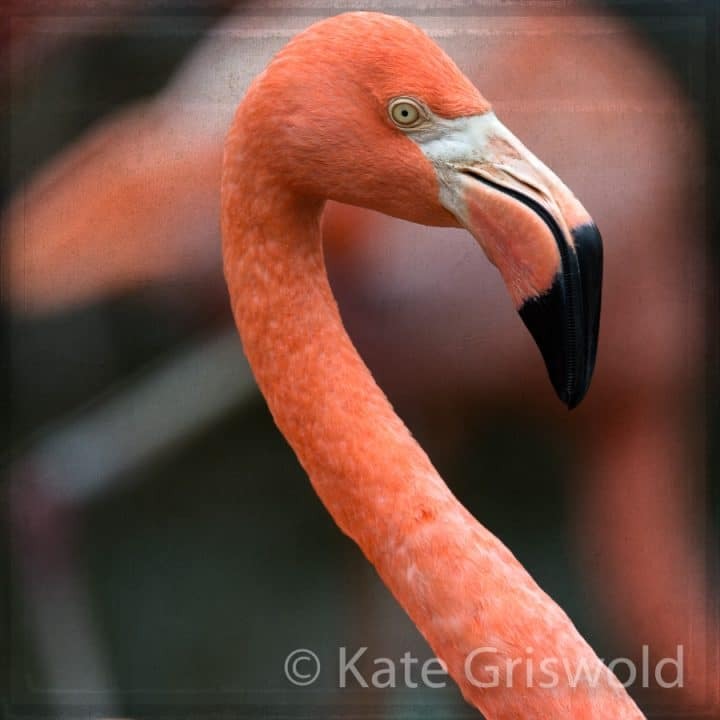 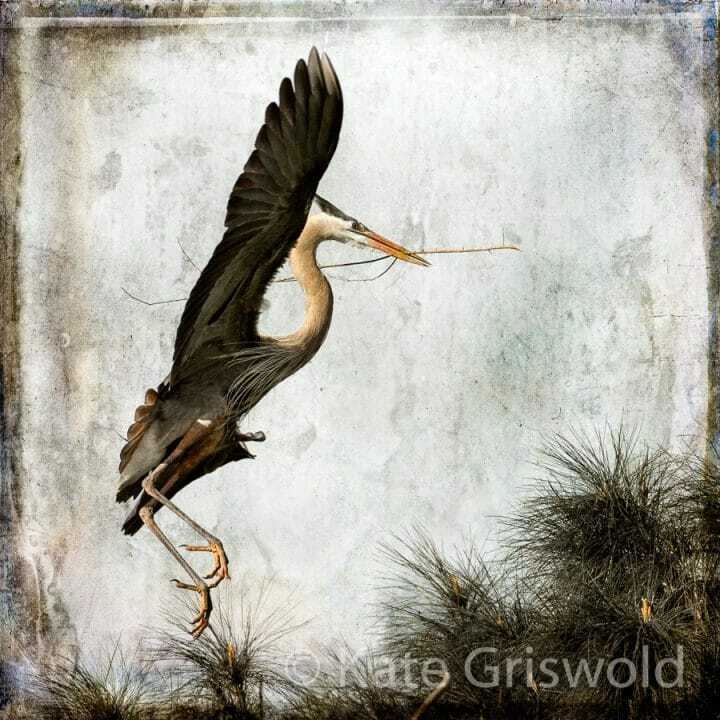 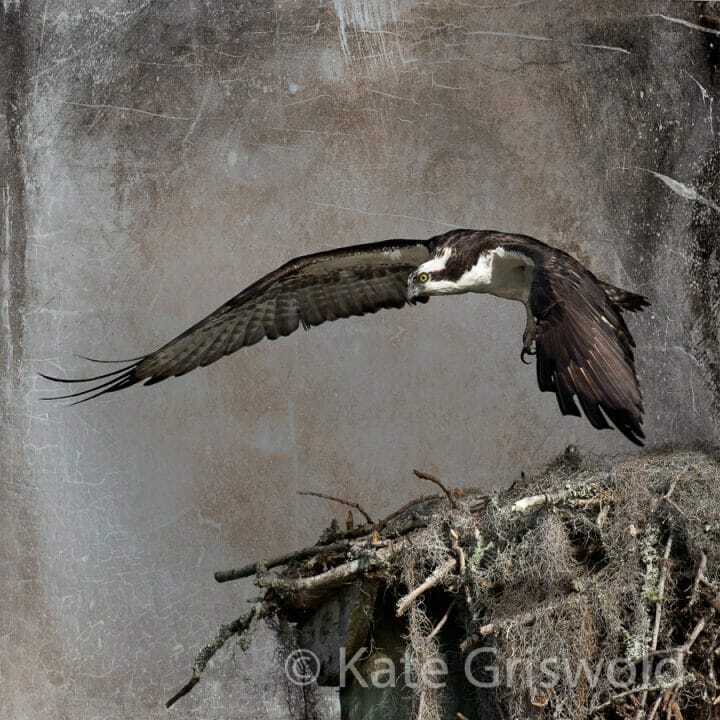 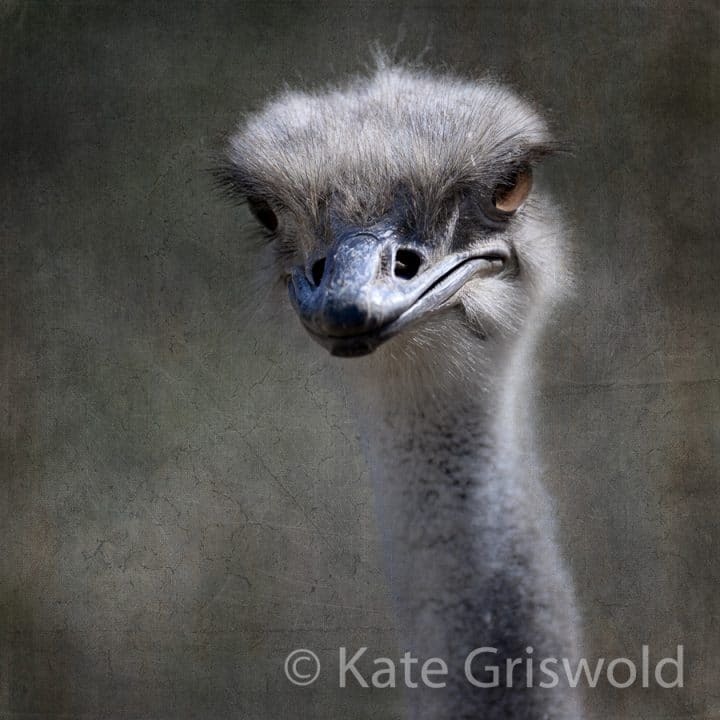 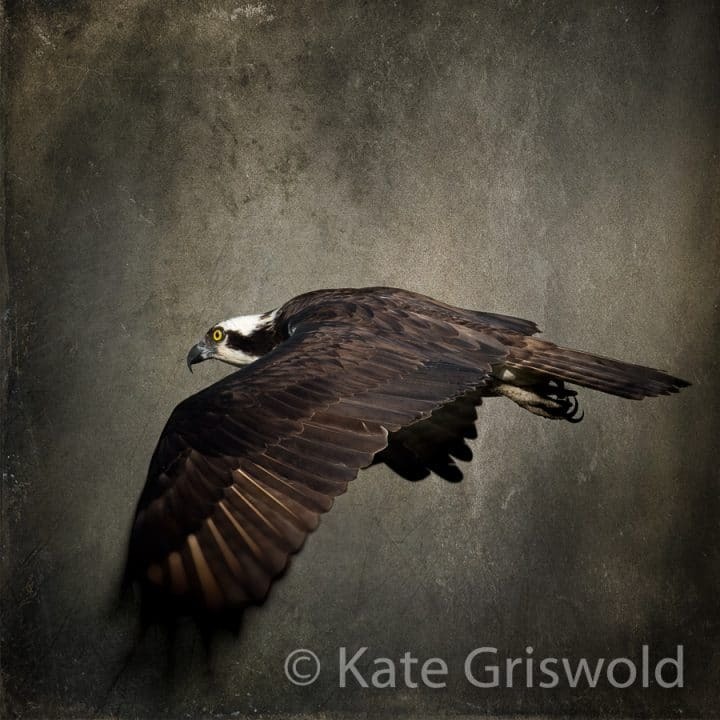 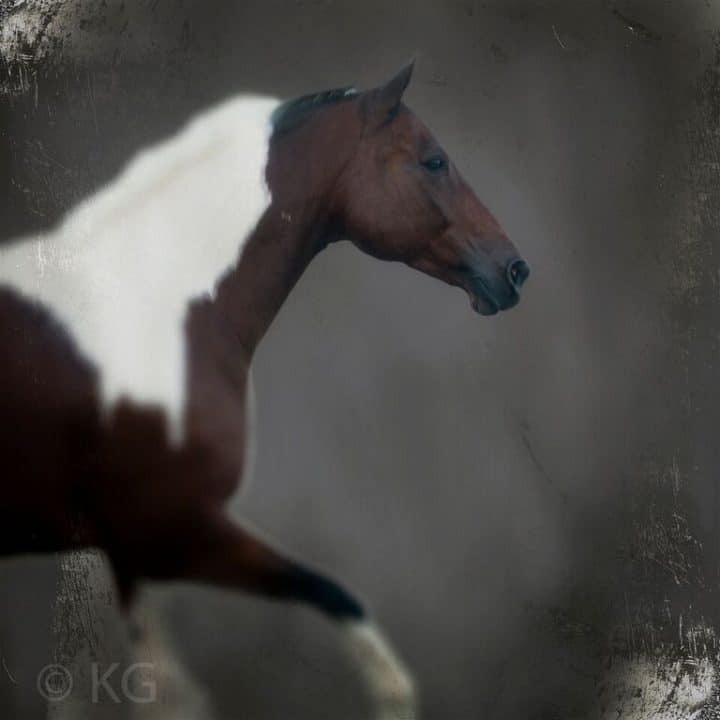 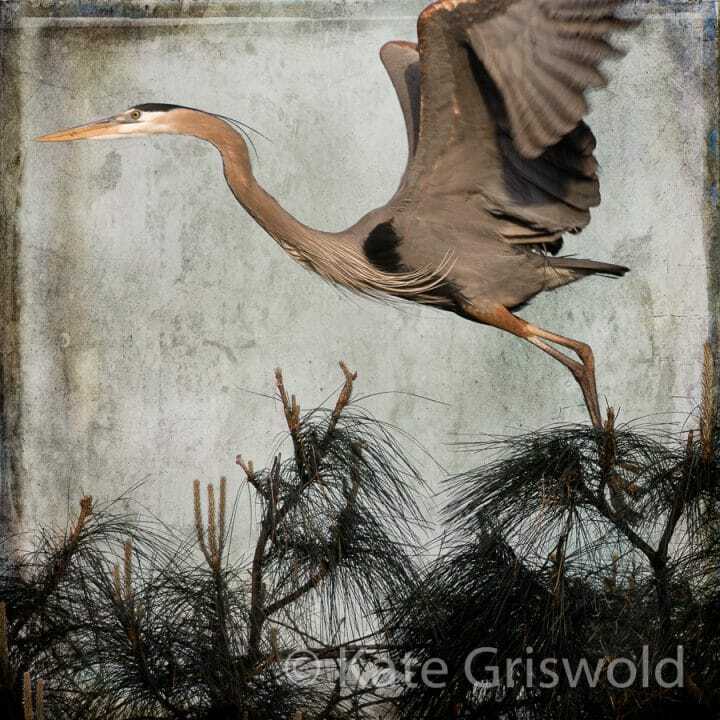 Kate Griswold has studios in Eastern Massachusetts and Brays Island, South Carolina. 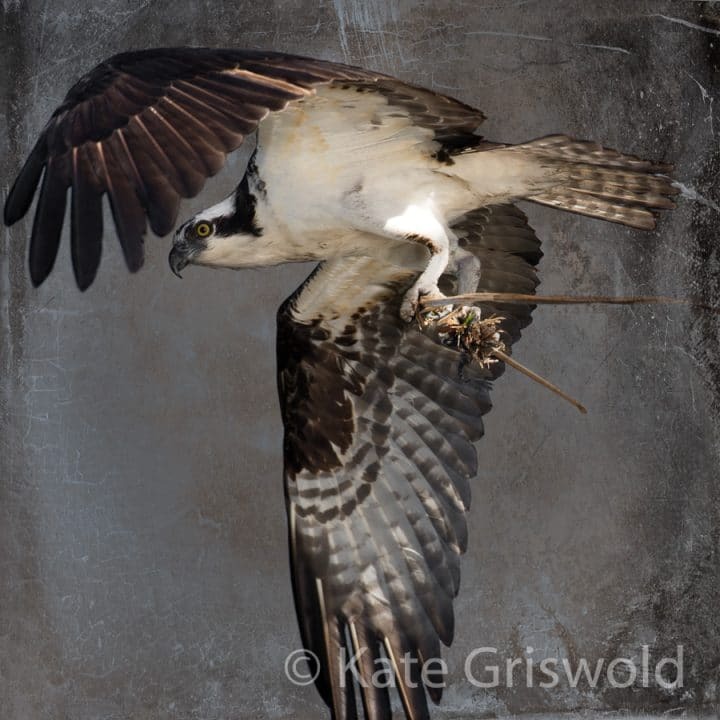 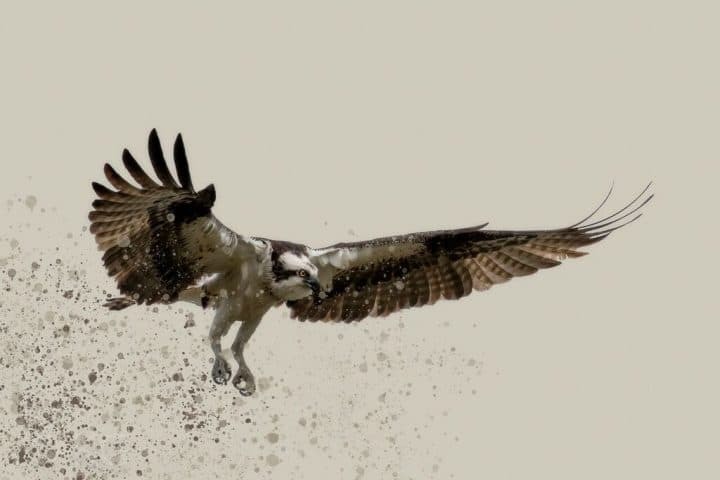 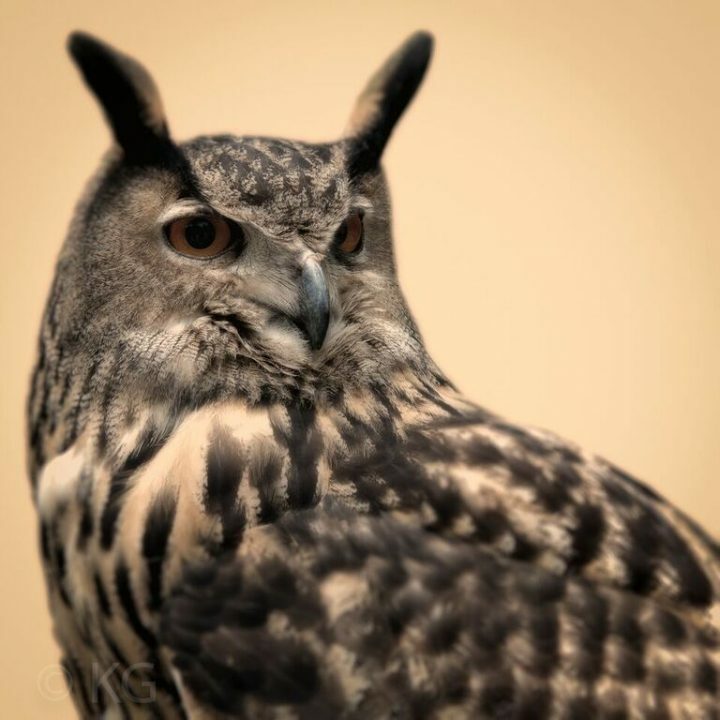 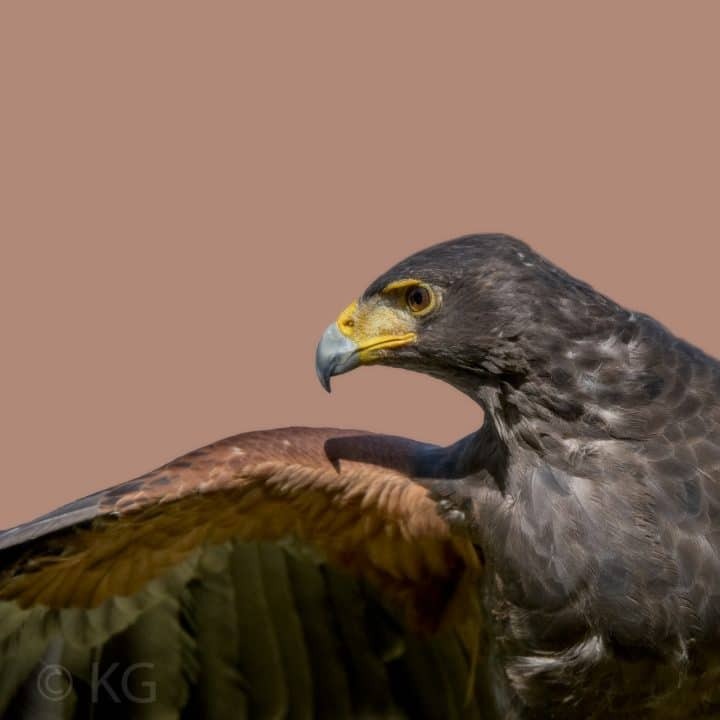 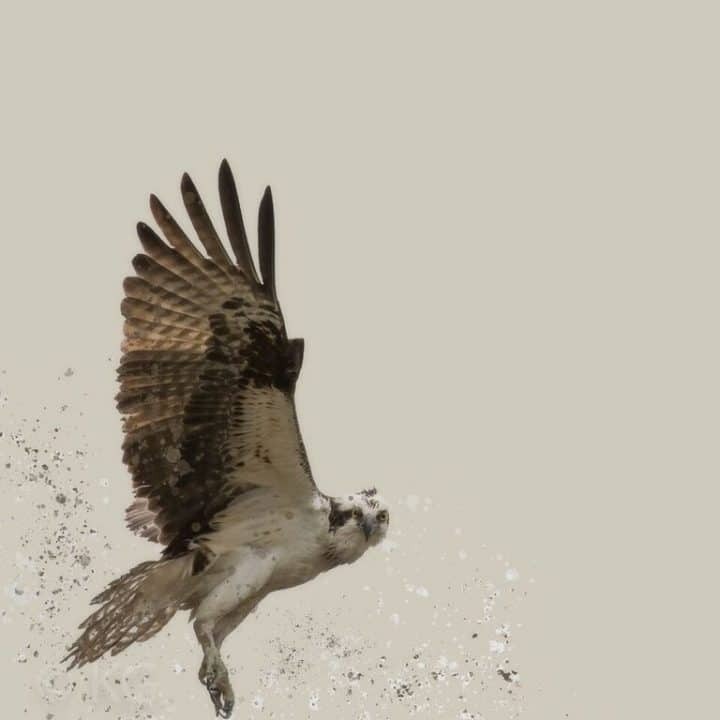 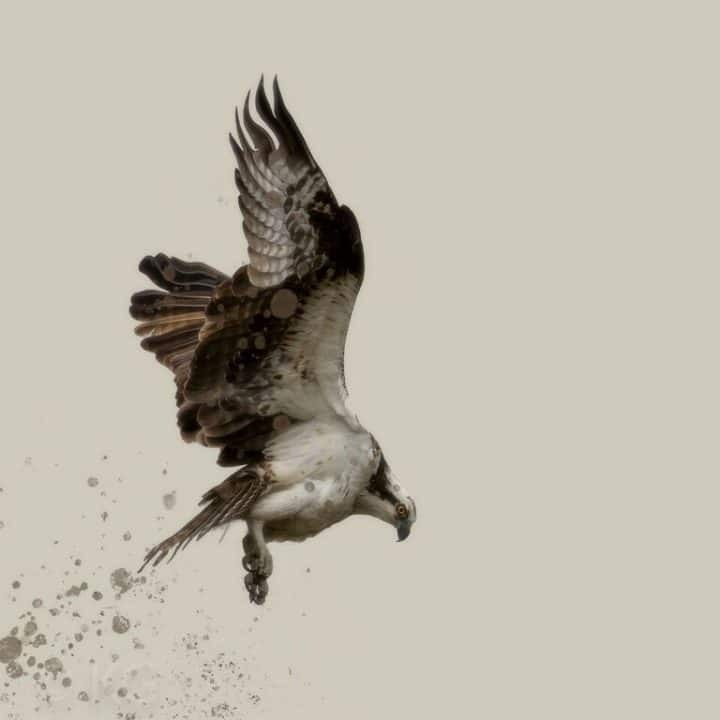 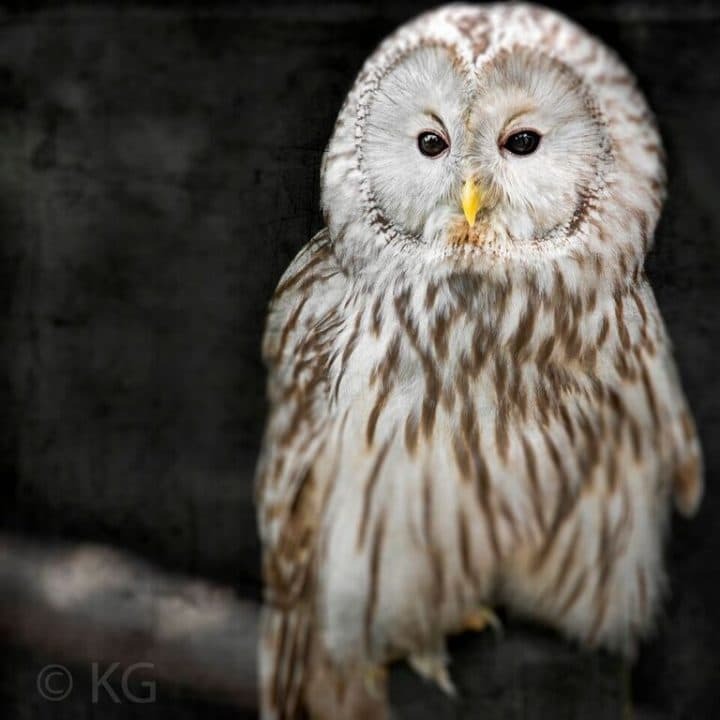 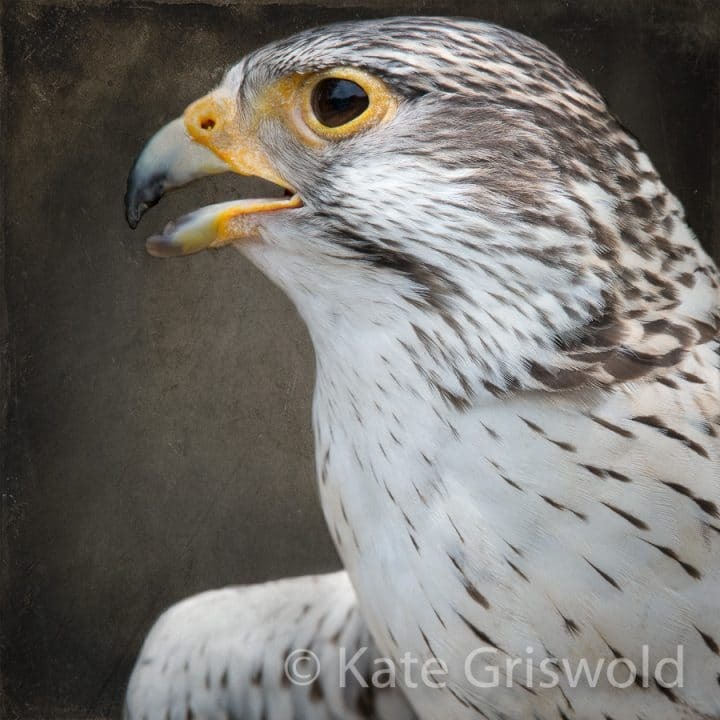 Over the last seven years, her focus has been photographing birds, particularly birds of prey and other large birds, in the wild. 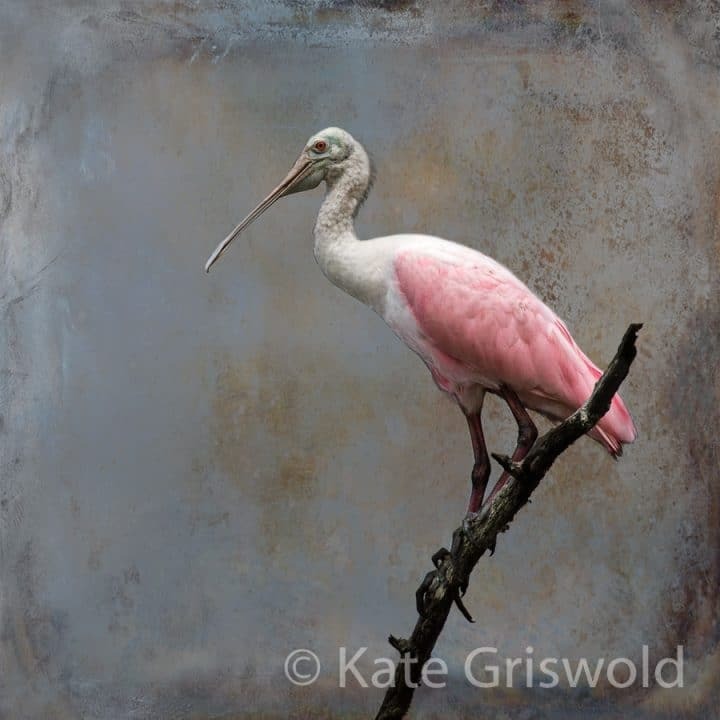 The artist “spends many hours outside, waiting and watching” for the perfect image. 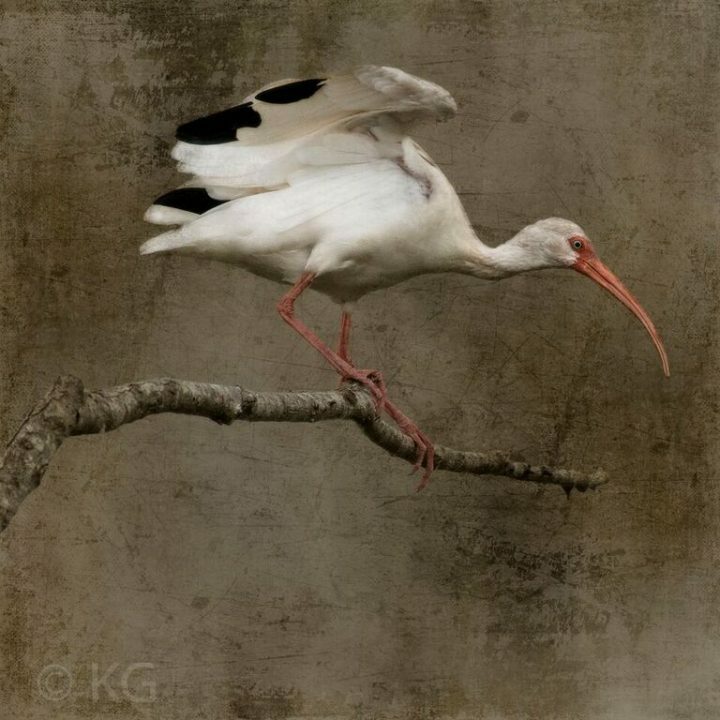 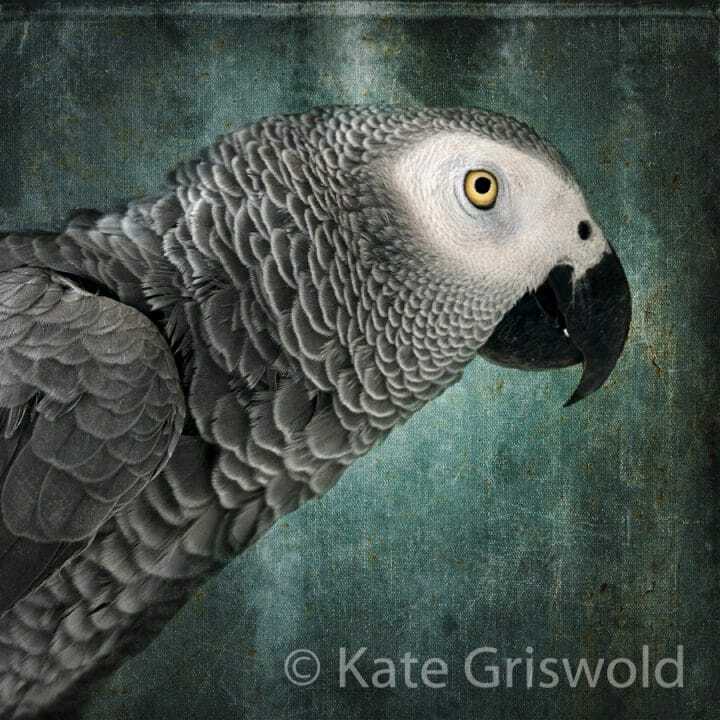 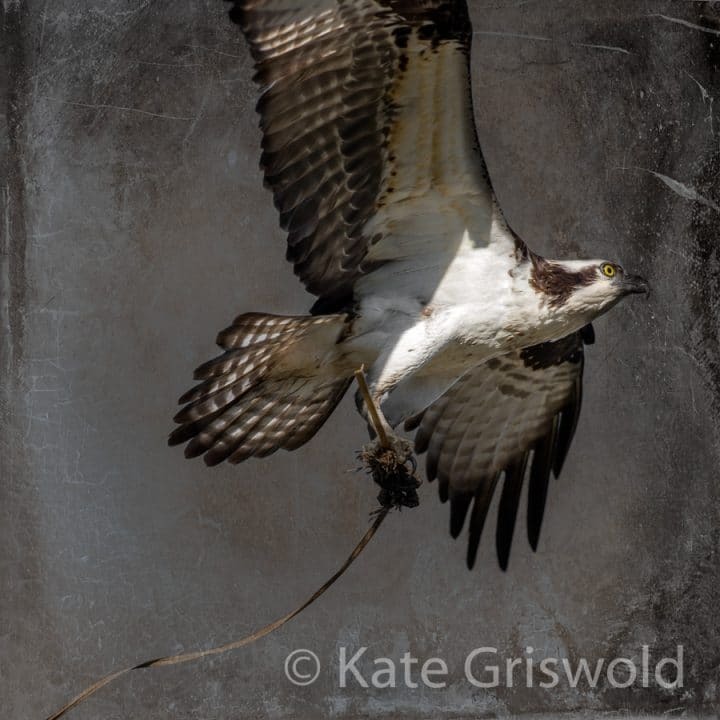 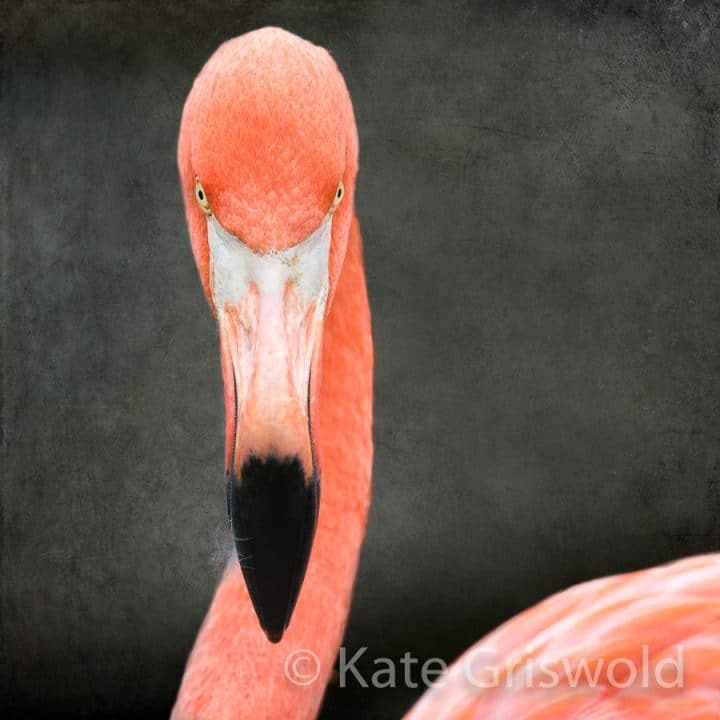 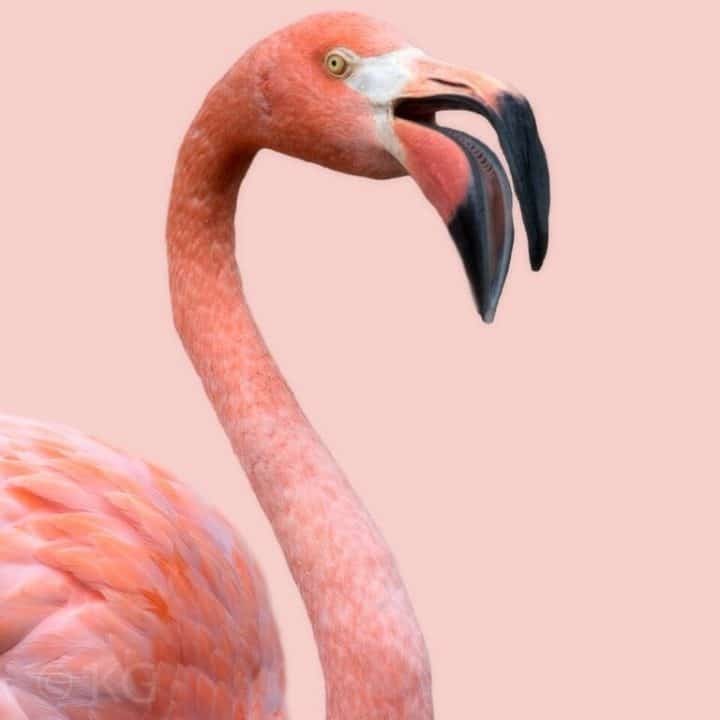 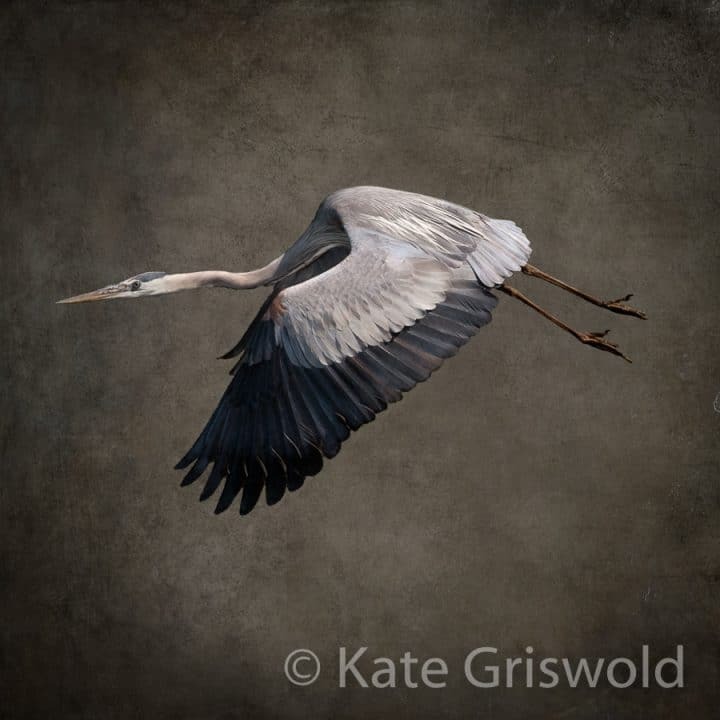 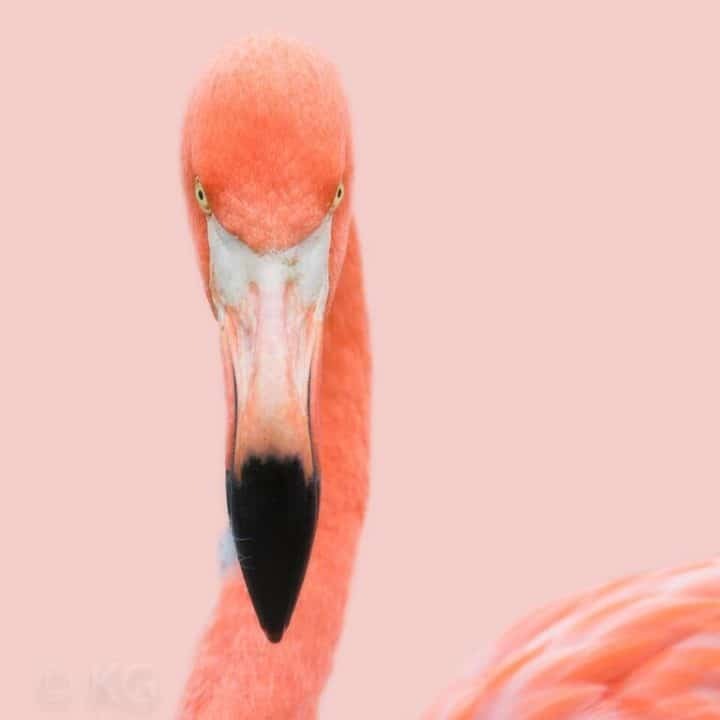 Back in the studio, Griswold adds painterly backgrounds to her photographs, “it forces us to see them [birds] differently, out of context,” she says. 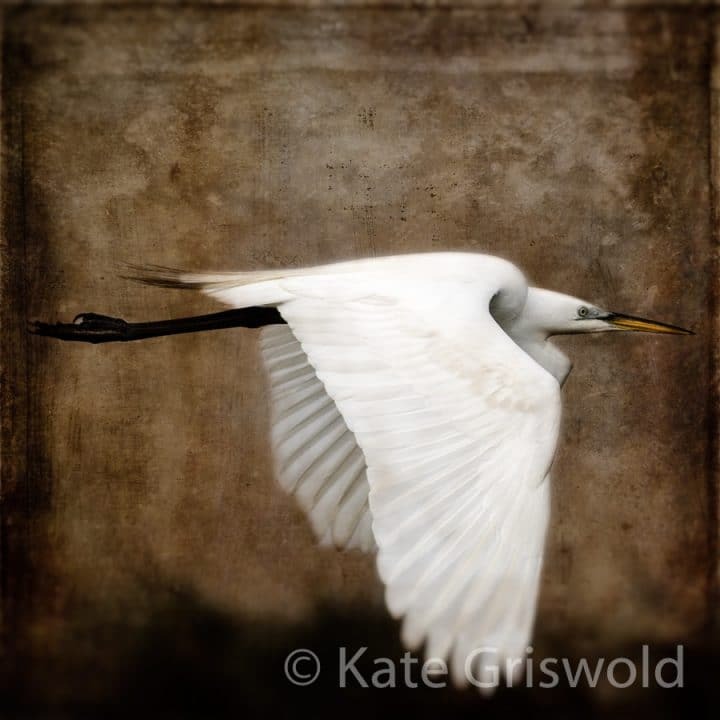 The artist is interested in the historical spiritual symbolism of birds and finds photographing them a spiritual act. 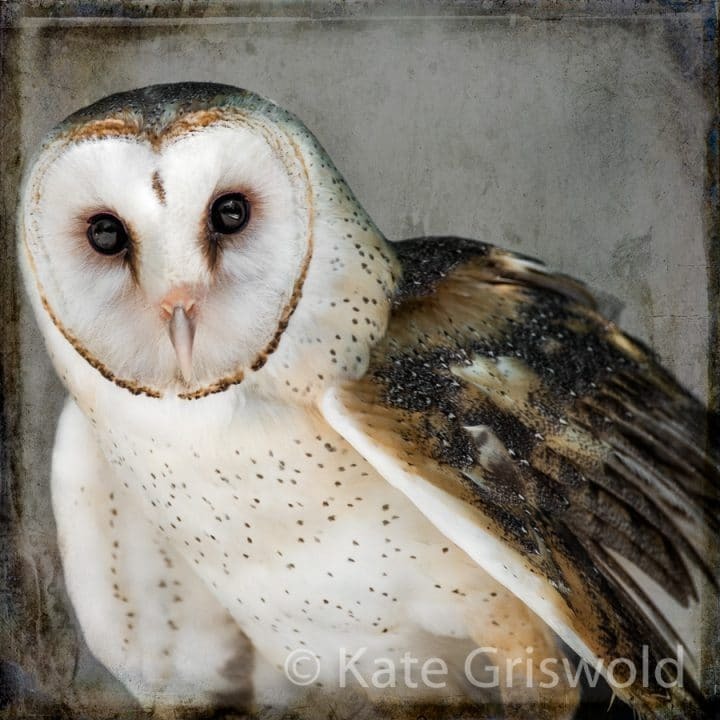 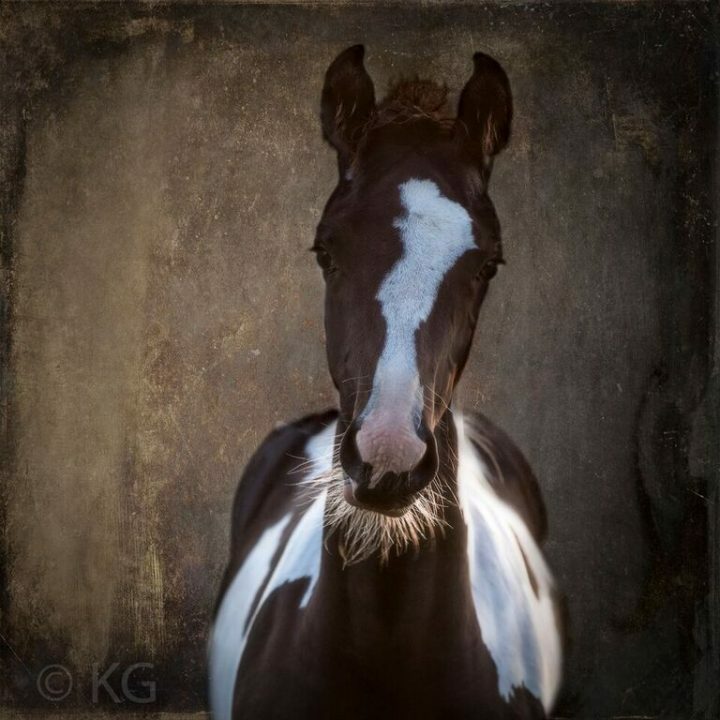 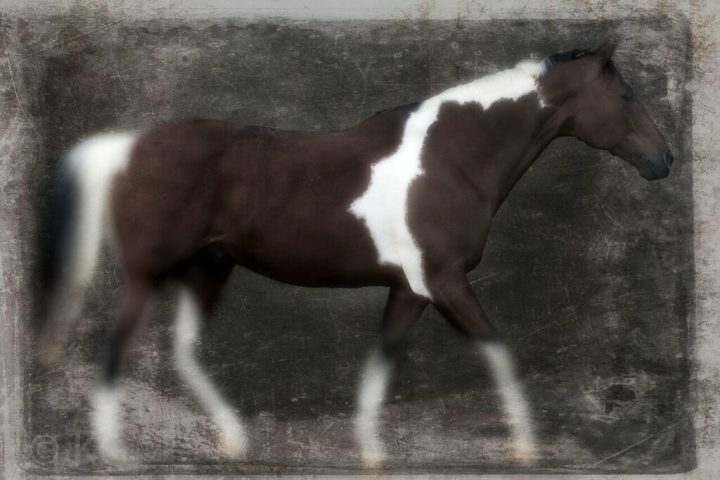 “Ultimately, I’m honoring these noble creatures, and the spirit they evoke” she says.